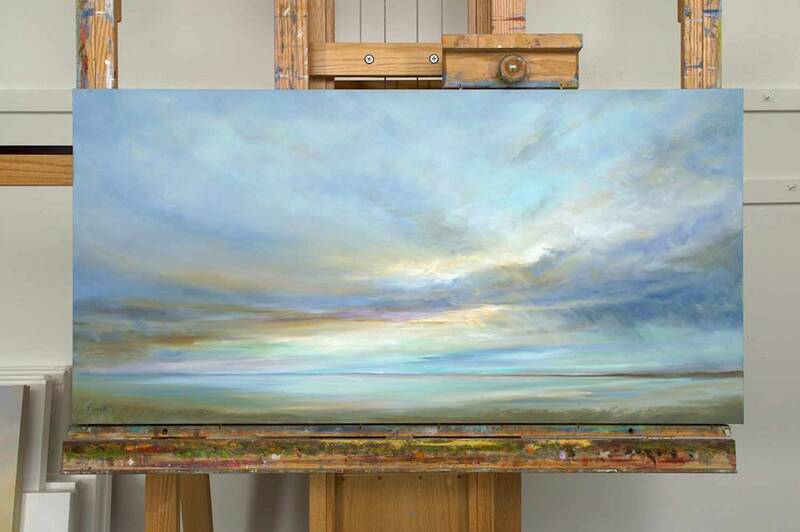 GLOW - 24 x 48"
What a gift of color and light! 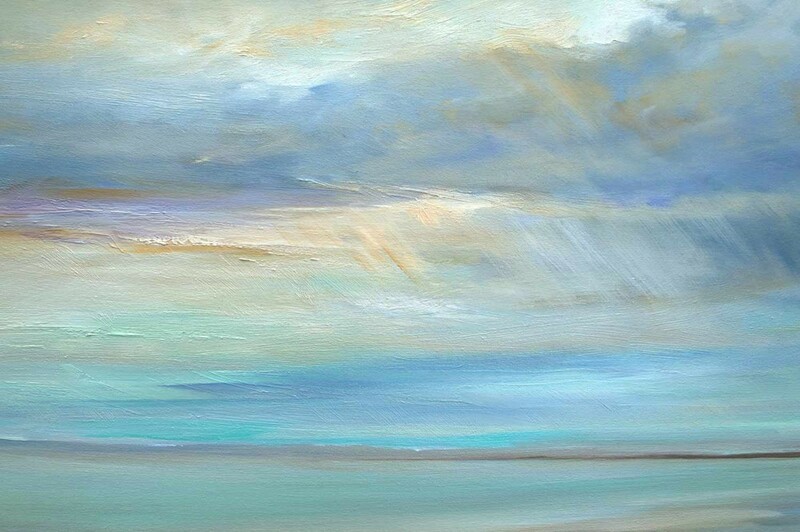 This oil painting is a creation based on a beautiful late afternoon sky as I drove north on Highway One. This view is from Surfers Beach, just south of Pillar Point Harbor, and Sams Chowder House. I knew my camera would not be able to capture the subtle nuance of color, so I pulled off the road and wrote down the colors as they rose from the horizon line, along with a quick sketch of the light and dark values. 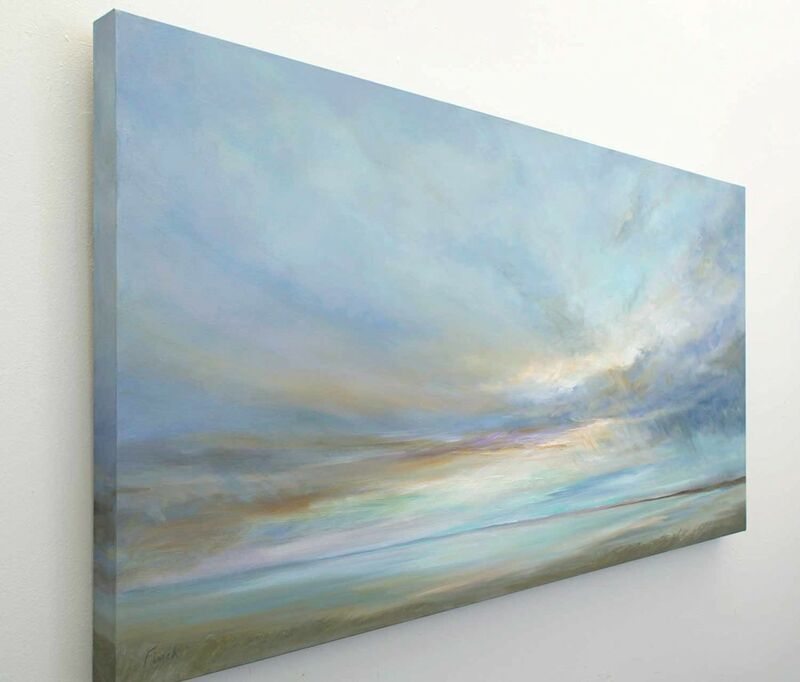 "Glow" is created on gallery wrap canvas with the image continuing around the sides. 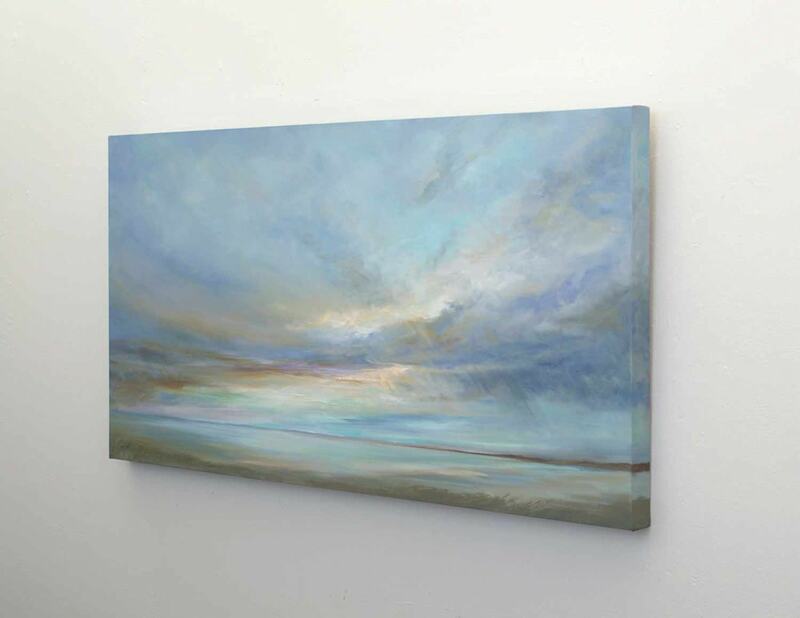 It is varnished, wired and ready to hang.